Paddle sports are a great way to experience the outdoors and stay active. Southern West Virginia has accommodating venues to experience flat water activities. Active SWV programs are beginner level with a focus on safety education. This is a great way to refresh your paddling skills or have that first paddling experience and it is FREE. Stand up paddle boarding is a great beginner paddling activity. Some balance is needed, but first times can start sitting or kneeling. Active SWV Community Captains will be with you the entire time to provide instruction and help you through all the steps to independent standing and paddling. All equipment is provided and distributed on a first come, first serve basis. Everyone will be asked to sign a waiver of liability. There will be a 10 minute on land instruction session and then 20 minutes on the water depending on the crowd. 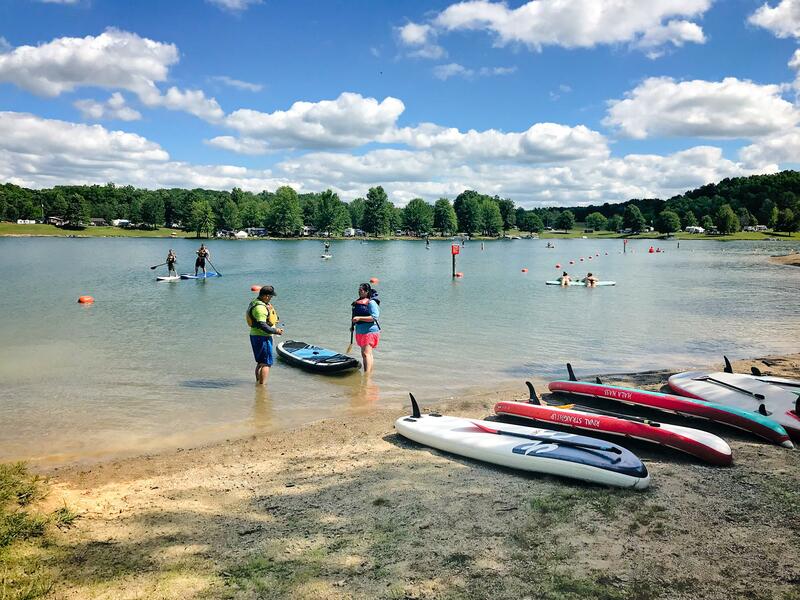 This event is also a great time to receive paddle board training to be part of the Community Captain team at Active SWV this summer. Contact our office to learn more. Paddle board Community Captains do need previous paddling experience before leading others in the activity. Check out more training requirements here; Active SWV 2019 Community Captain Training. Youth are encouraged to attend but must be accompanied by a guardian and the adult must stay on site during the activity. There will be more paddling events this summer. You can follow the Active Southern West Virginia page for event notifications and sign up for our monthly email flier here –> https://activeswv.org/newsletter-signup/.